This Thursday, the four week period that the refugees leaving the Calais Jungle were given to stay in the CAO centres comes to an end. 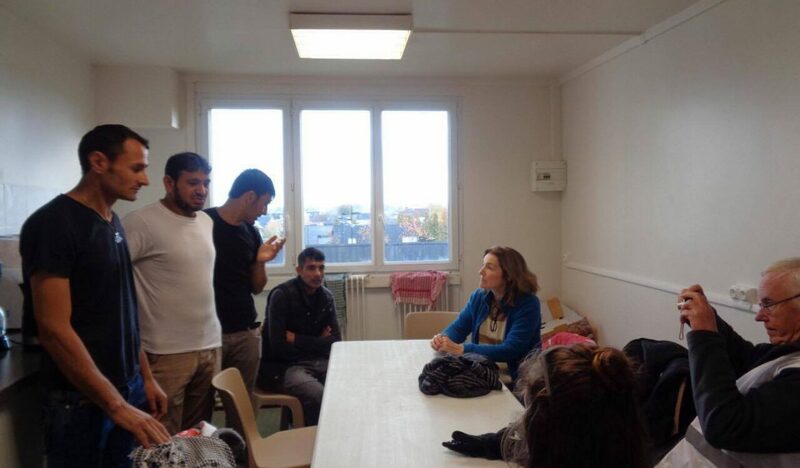 By Thursday, they are required to decide whether they are going to claim asylum in France, or they risk either deportation or an order to leave French territory. As we know that many have the ultimate aim of getting to the UK, we are expecting that they may now start leaving the CAOs. The current political climate in France gives few options to refugees on the move. The CAOs were only intended as a temporary solution. In the next few weeks, problems will increase as those who do not wish to claim asylum in France leave the CAOs and, with nowhere to go, are chased underground or detained. Care4Calais has received feedback from refugees in over 100 CAOs and has visited 17 centres. The CAOs vary greatly in nature and standard, from apartments for families with modern appliances to disused school buildings containing makeshift beds with only two toilets and two showers for 50 people. In over 50% of cases, refugees report being reasonably comfortable. The most commonly cited problem is with food – either not receiving halal food (which they often require for religious reasons) or not getting enough food. In some cases this is being slowly resolved. Some of the most worrying reports include racial protests, sometimes violent, against the centres (Arzon, Vouneuil-sur-Vienne), delayed or withheld access to medical care (Laval, Grenoble, Bou) and lack of access to interpreters (commonly reported across CAOs). We visited one centre where minors were housed in a homeless shelter for French adults and we were told alcohol and drug abuse took place.